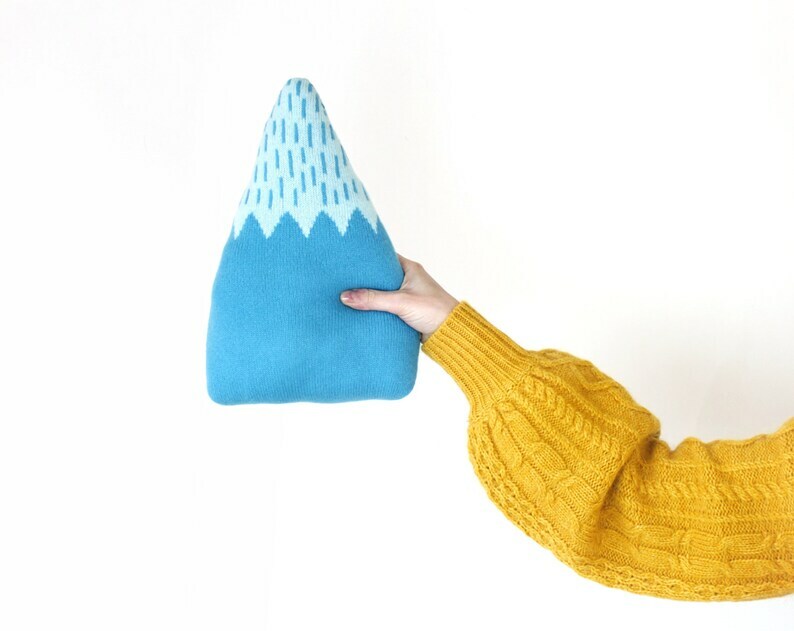 These soft, fun knitted mountain shaped cushions are knitted using 100% lambswool. 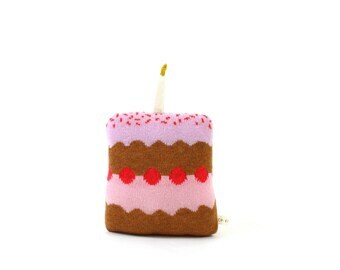 Cozy and cuddly, they will make a cheerful accessory for your home. Beautiful craftsmanship. Just as described. Thank you! This will be perfect for my daughter’s first birthday! Orders will be shipped to the address given to us by Etsy (not Paypal). Please make sure it is up-to-date. We do our best to ship within two working days (unless specified differently in the item's listing). All orders are shipped via USPS Postal Service. If you wish to have your order shipped via UPS or Fedex, please contact us prior to placing your order. Also, if you wish to insure your package, please contact us prior to placing your order. All domestic parcels are posted as First Class Mail or Priority Mail. In each case we will provide a tracking number so you can check the status of your shipment at any time. The delivery time for domestic mail is 3-5 business days. Delivery times vary by country. Some international orders can take 2-3 weeks. Please consider this when ordering. Additional delays can also be caused by Customs in the foreign country. The buyer is responsible for any and all Duties and Customs charges that may be incurred.